In this paper we briefly describe the methodology followed during the condition survey of the conservation project at the library of St. Catherine's Monastery in Sinai, Egypt. Initially, we focus on the reasons why a condition survey is necessary. Although a computer database is used to store the condition survey data, we explain why the use of computers is not practical for collecting such data on site. 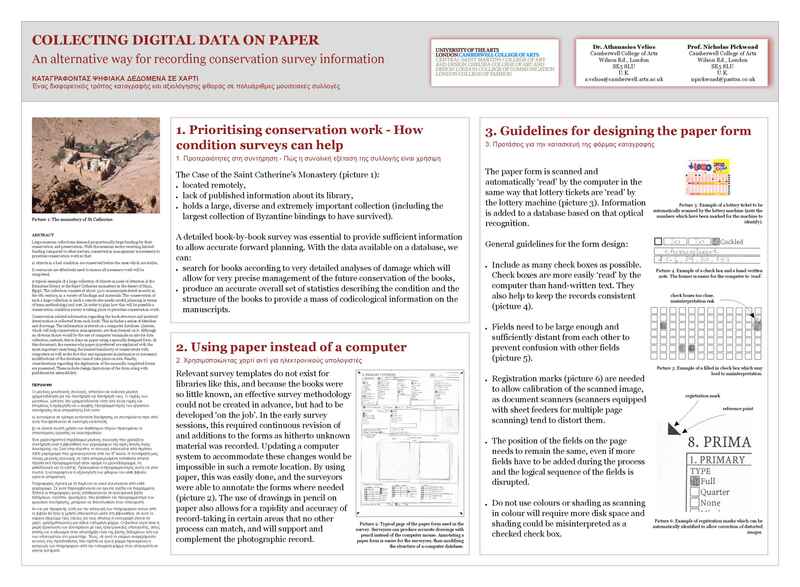 We show how computers can be replaced by paper forms and describe the methodology for digitising the forms later in order to transfer the data to the database. We pay particular attention to the way the form should be designed in order for the digitisation to be quick and practical.